Our next stop on our tour of Savannah is trolley stop #4. We are skipping # 3 because it will be a night time photo shoot and story on "the most haunted house in Georgia." I want to be sure we get the full ambiance. 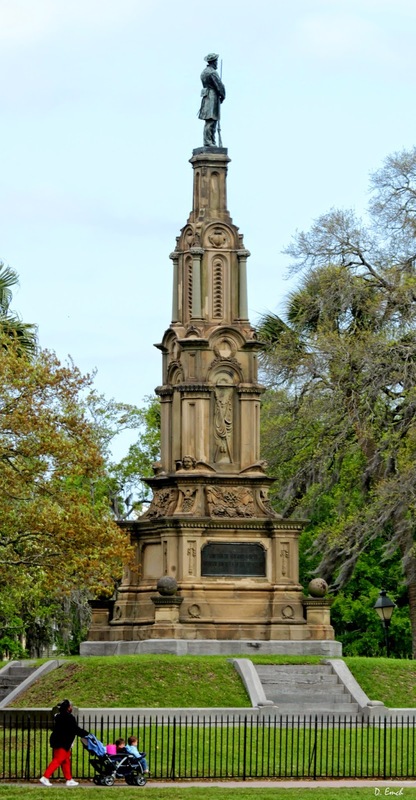 Trolley stop #4 is Forsyth Park, a 30 acre park nestled on the edge of the historic district of Savannah. It was laid out in the 1840's on land donated by William Hodgson. 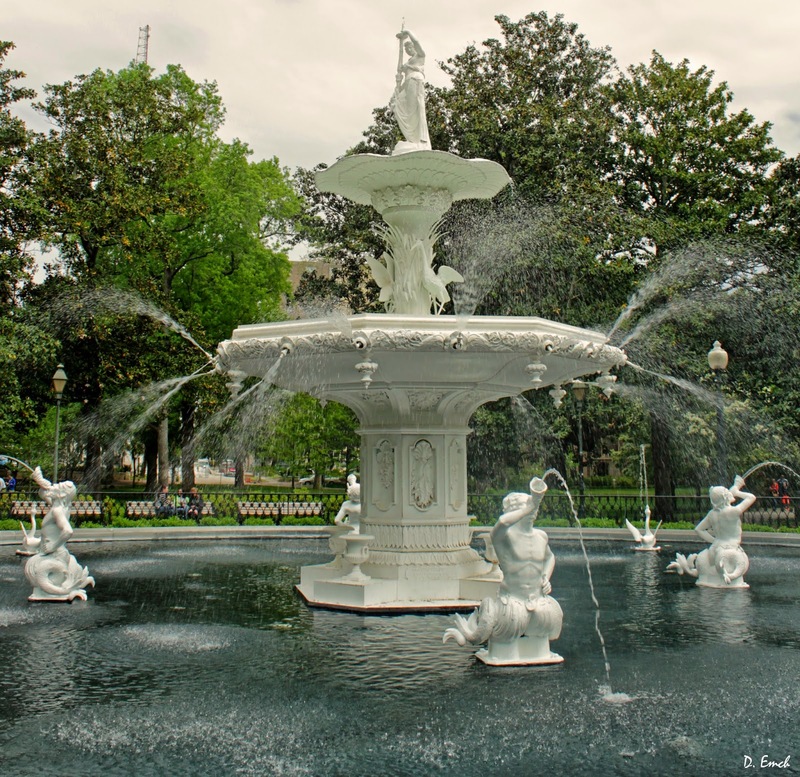 In the center of the park is a large fountain, supposedly purchased through a Sears and Roebuck catalog over a century ago. There were only two others sold - one resides in New England and one in South America. All over the park people do what people do in large parks. 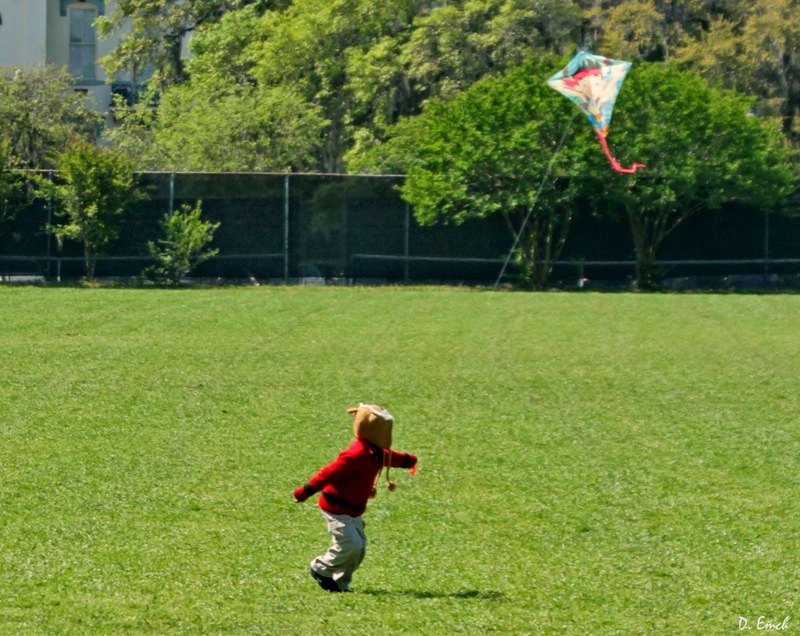 An Easter egg hunt was well underway, while in other parts of the park kite flying and dog exercising were on the agenda. There are public tennis and basketball courts as well. I love the people you meet and the conversations you can strike up in these public parks. 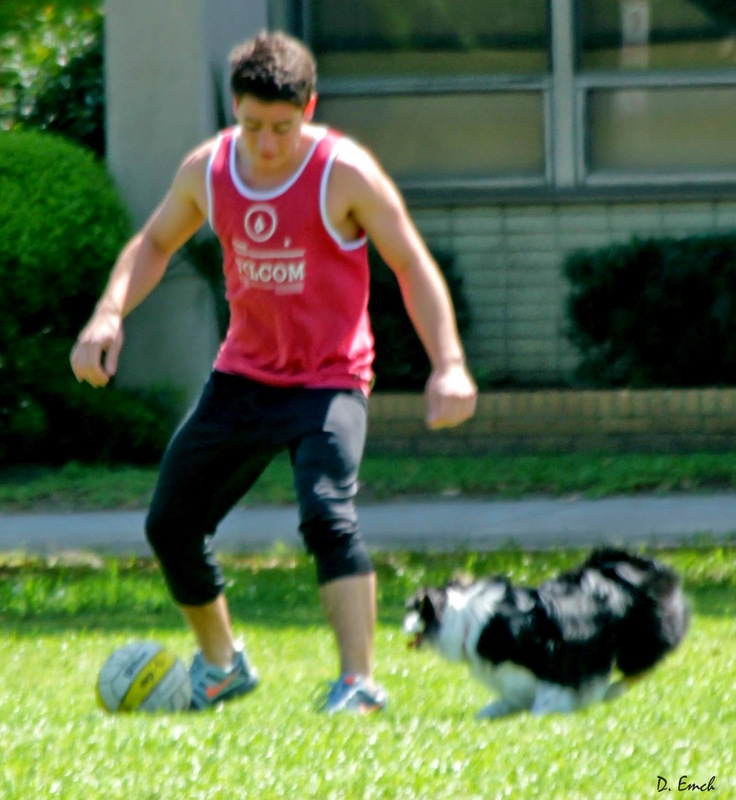 Simon, with the dog, moved here from Venezuela and designs surfing equipment for Thamopro Design. 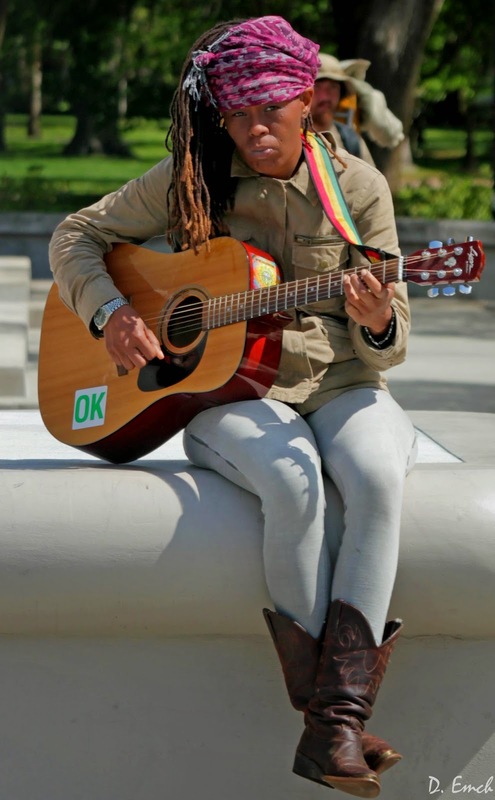 Karima is working to get a license from the City of Savannah that will allow her to accept tips for playing guitar in public. 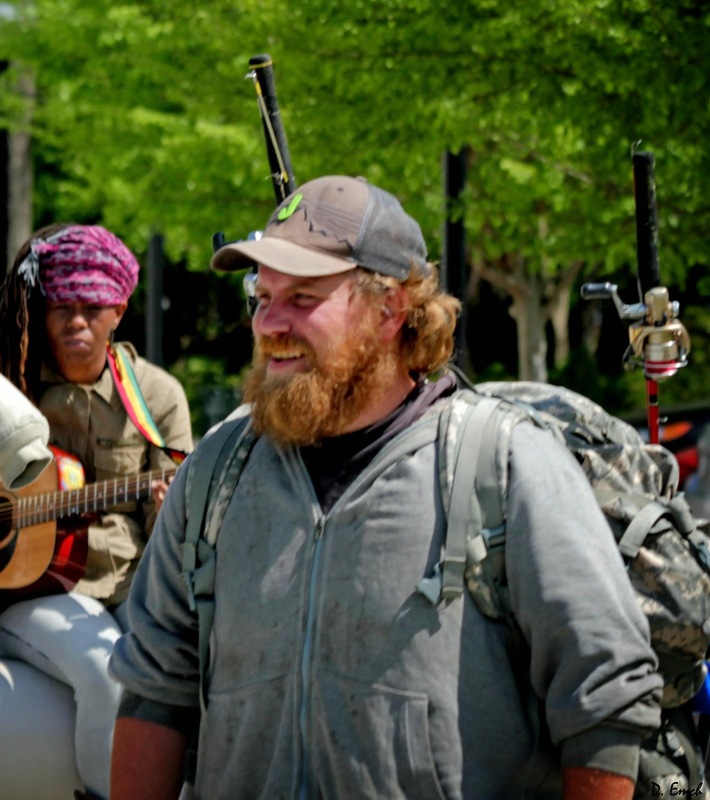 Jay walked from Tennessee to the Florida Keys, and is now walking back. There is a family reunion at the beginning of June he plans to be back for. A lot of his meals come from catching fish along the way. 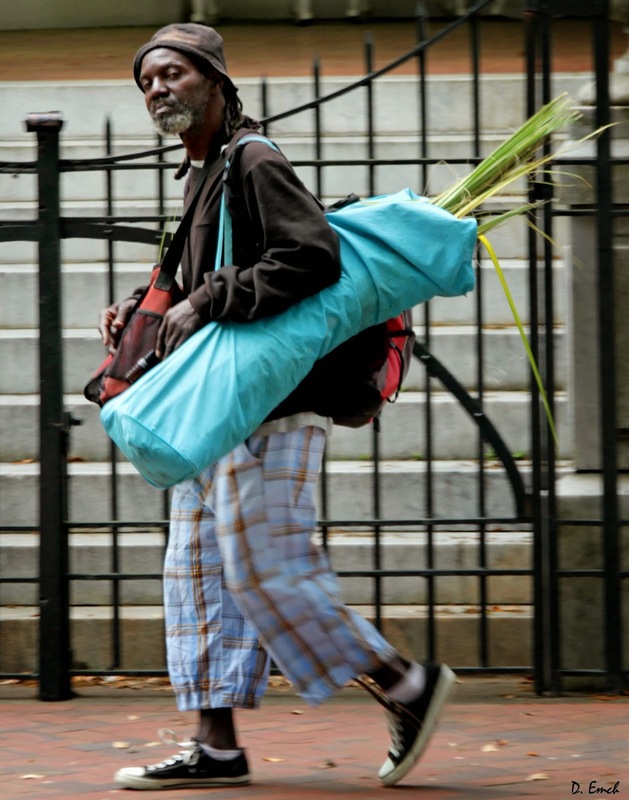 And Melvin harvests palm fronds and sweetgrass used for the weaving of baskets and other novelties sold by folks of the Gullah culture in Savannah. An outdoor amphitheater and an indoor restaurant grace the grounds along with a botanical garden. There are the obligatory monuments recalling past conflicts. On the perimeter of the park are many homes displaying unique architecture - primarily Victorian in style, but each with a lot of individual character. 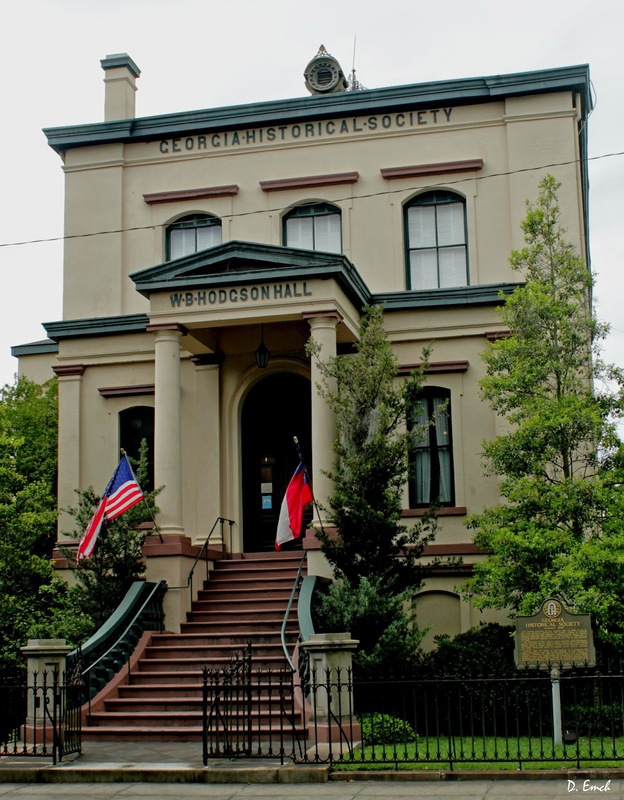 The Georgia State Historical Society has a museum that contains all manner of books and papers dating back to the 1600's. However, they would not allow photos inside. 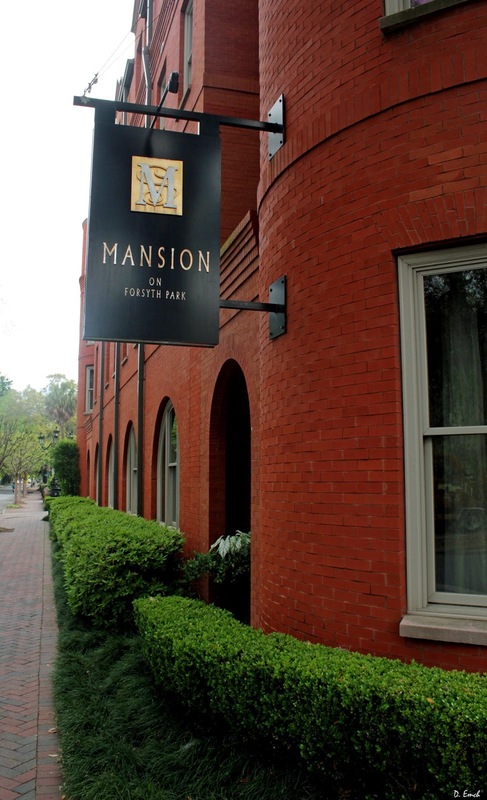 Also alongside the park is "The Mansion on Forsyth Park." This is supposedly the ritziest hotel in Savannah, catering to the stars when movies are shot here and other dignitaries that happen by. There must not be anyone that important in town at the moment because I slipped by hotel security fairly easily. 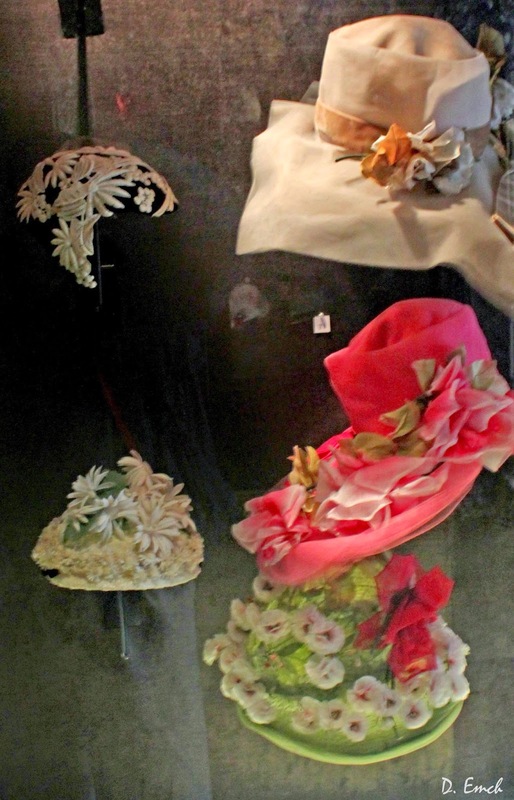 They have a big collection of ladies hats from eras gone by. 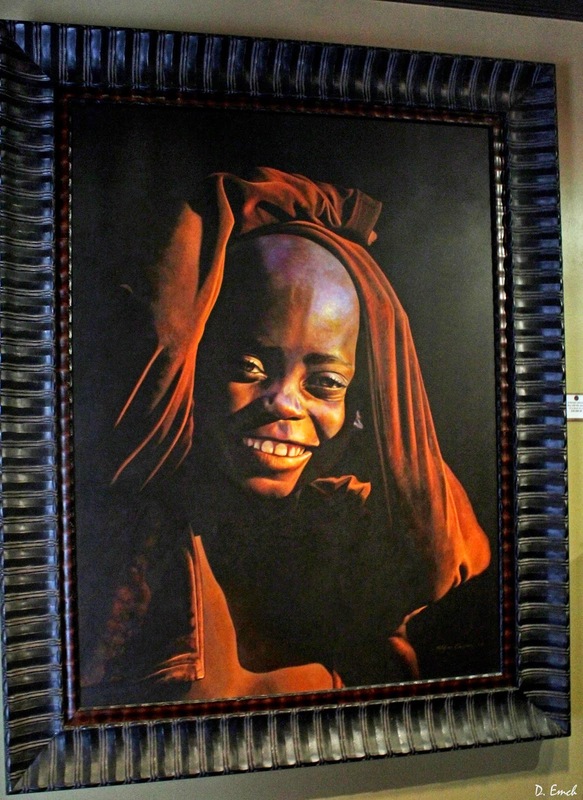 And paintings everywhere for sale. This one was bargain priced at $28,000. So far we met a couple of the actors who role-play for visitors that use the Old Savannah Tour trolley system. Today we are going to meet the man who keeps the show running. This is Eddie Cook who heads the maintenance department for the company. 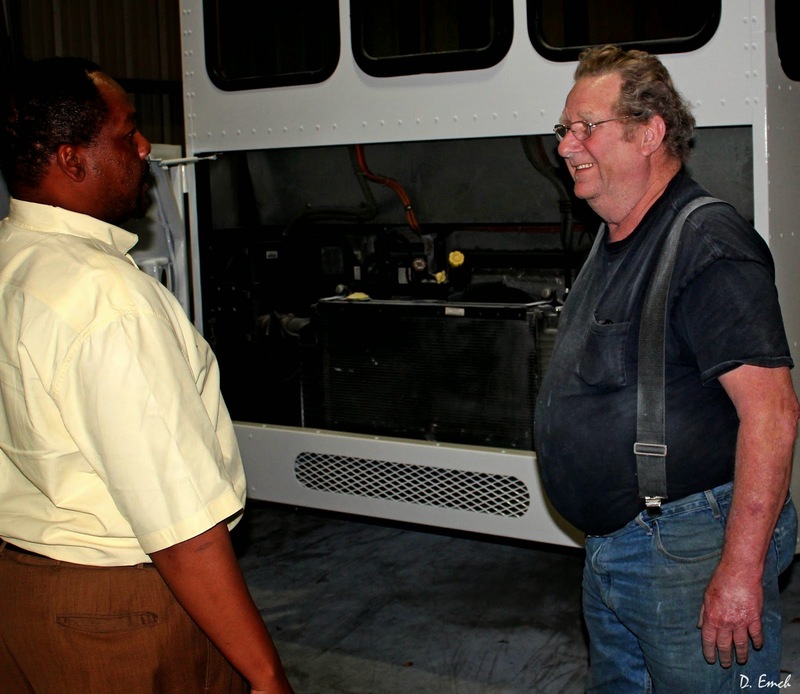 He has been working on vehicles for over 50 years and specifically on trolleys for 25. Eddie has an easy nature and a sparkle in his eye. He has three men that work for him - each of them hand picked. Eddie likes to hire people who don't have a lot of experience so that they "haven't developed bad habits." He teaches each man all aspects of the job so that if any one man cannot perform, everyone else knows how to do the work. I spent several hours in the shop with the guys, and it is apparent Eddie cares about them. When I commented on this, he replied "You can't get people to really learn and work with you if you don't care about them. Around here, we are all on even footing, even though I have the title." And there are a lot of aspects to the work that must be learned. One is the refurbishing of old trolleys purchased from other companies that have gone bankrupt or otherwise out of business. 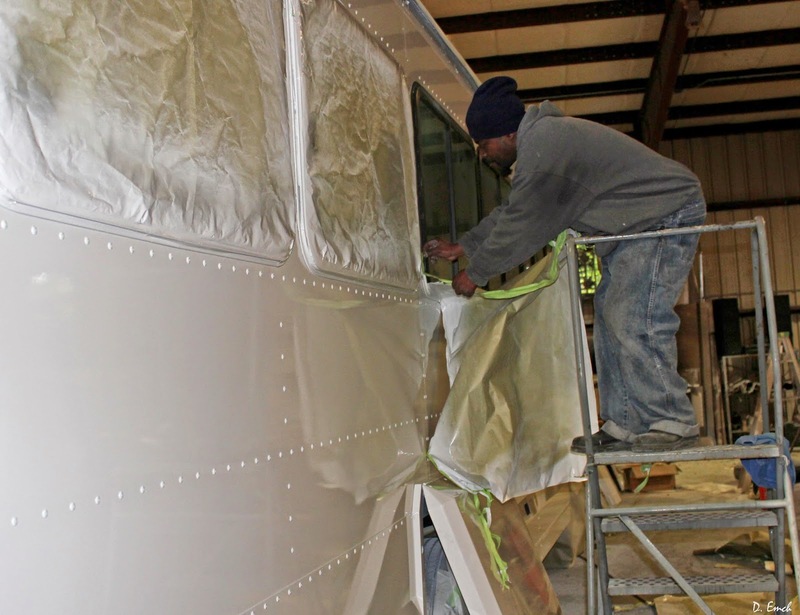 These trolleys are brought into working order and refurbished cosmetically. Some are then used for Old Savannah's tours and others are sold off to other companies. Above is one coming in that needs a lot of attention. Below is one that has just finished the painting process today. Terrence is removing the paper that was taped on to keep the paint off of the windows. 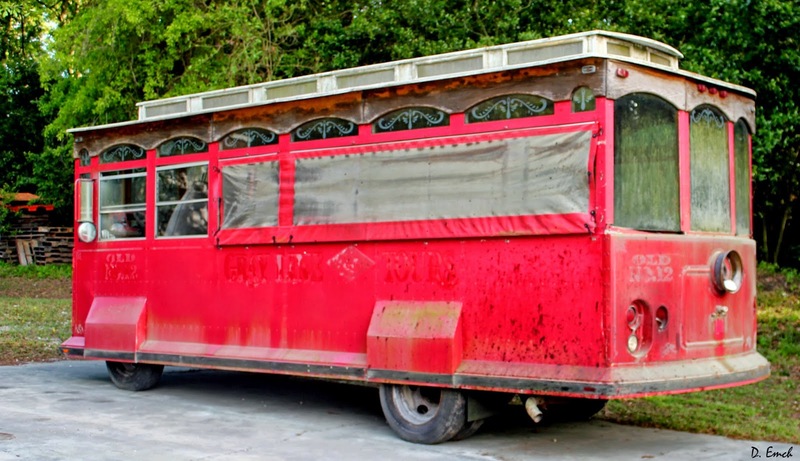 Many of the trolleys have woodwork both inside and out used as decoration. 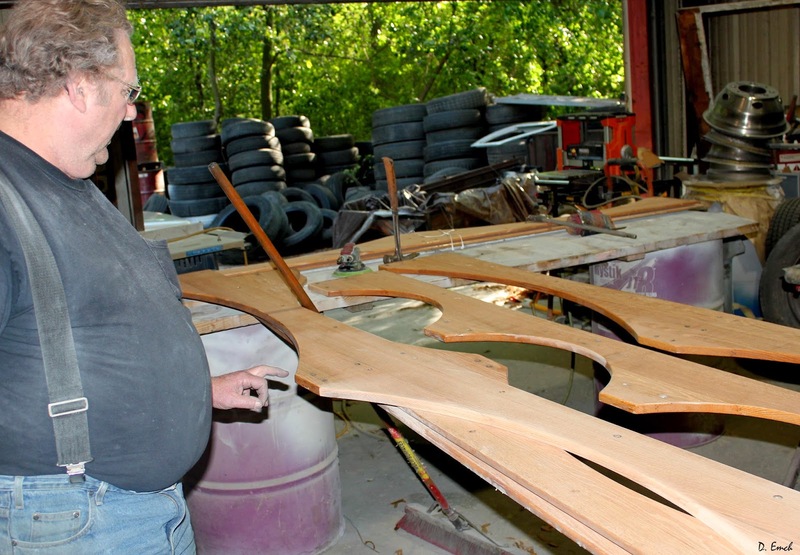 Thus the crew is also adept at making, repairing and refinishing wood panels. But the bulk of the work is mechanical. There are about sixty vehicles here that need looked after. Most are trolleys, but there are vans, small busses and cars thrown in the mix. 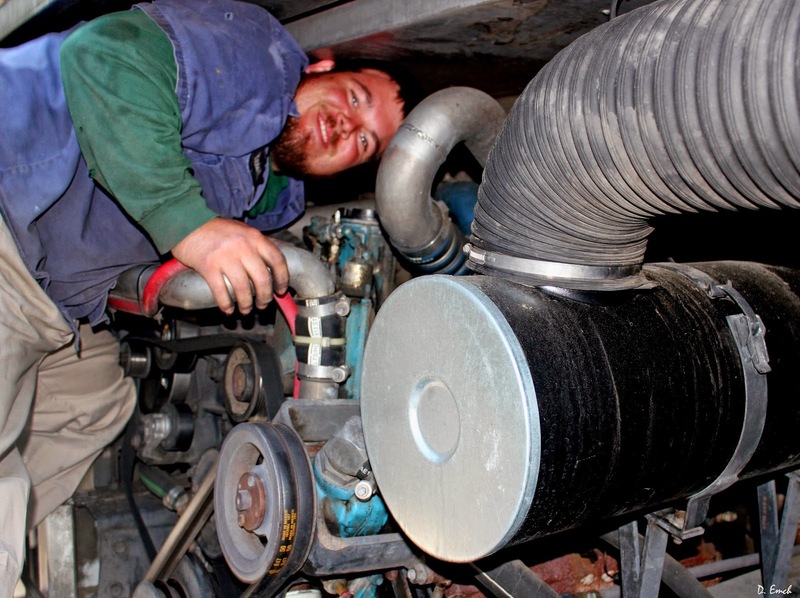 There are gas engines and diesels, and soon there may be a few propane engines to tend to. These trolleys are slow speed vehicles used for tours, so all day every day they live a stop and start life - one of the hardest uses for equipment. Cooling issues develop because the equipment was designed to have air flowing through its cooling systems at high speed. Brakes and tires are a constant issue and the electrical systems struggle with the salt air and the heavy usage. Between repairs, replacements and refurbishments this is both a talented and a busy crew. 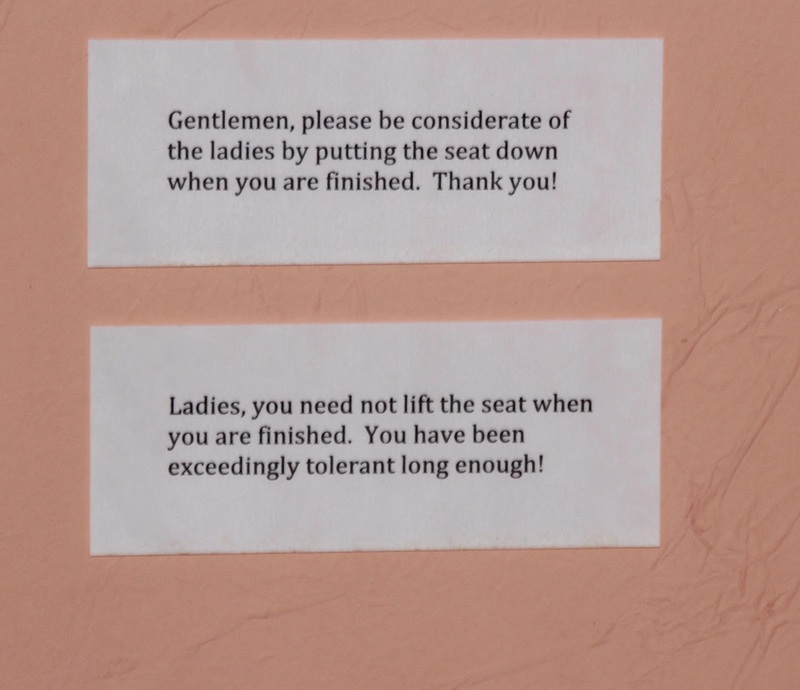 So today's parting shot is from a bathroom in a church alongside Forsyth Park. In the words of Forest Gump, "And thats all I have to say about that."